In a small town on the outskirts of an American military base in South Korea, three teenagers struggle to find their way in the violent wake of the Korean war. 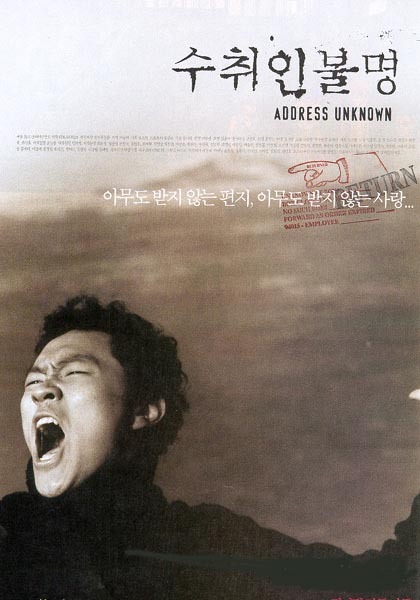 Chang-guk (Yang Dong-kun), the son of a Korean barmaid, longs to travel to America to find the soldier father who abandoned him. Timid Ji-hum (Kim Young-min) can’t deal with his boastful, disabled veteran father. And withdrawn Eunok (Ban Min-jung), blinded in one eye by a sibling’s prank, falls for James, a U.S. soldier, who promises to pay for restorative surgery. All lives collide as each one’s hope and longing for a better future returns upon them like a letter decidedly marked Address Unknown.